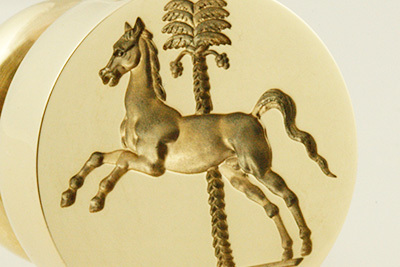 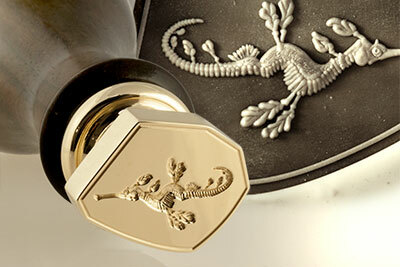 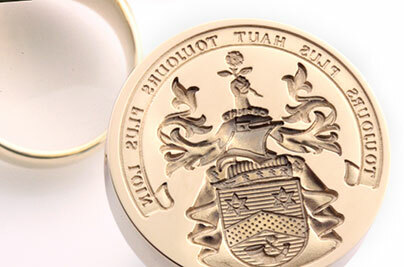 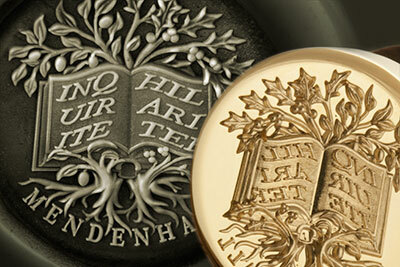 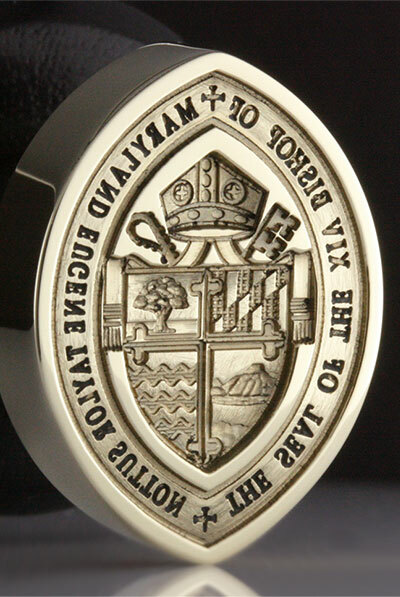 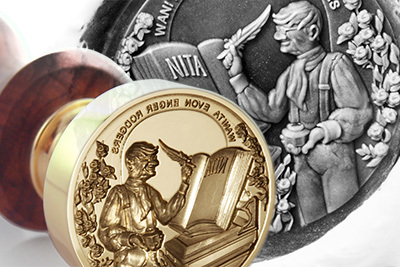 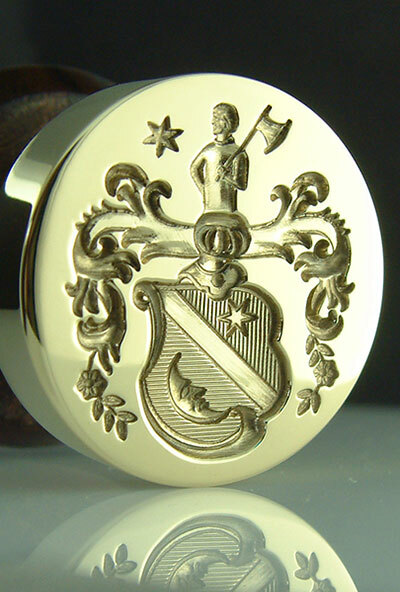 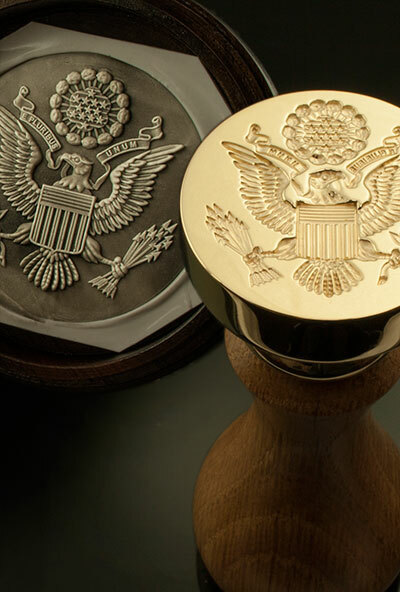 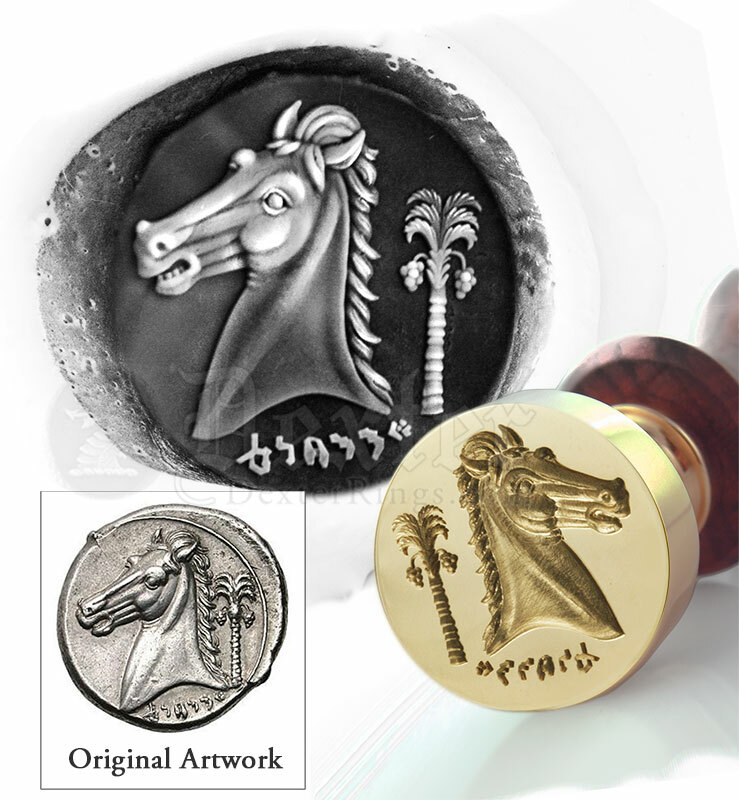 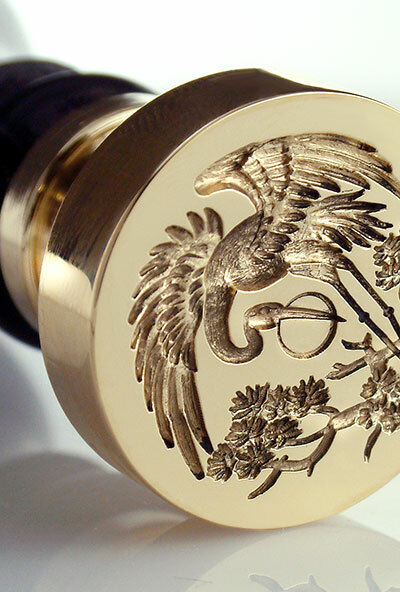 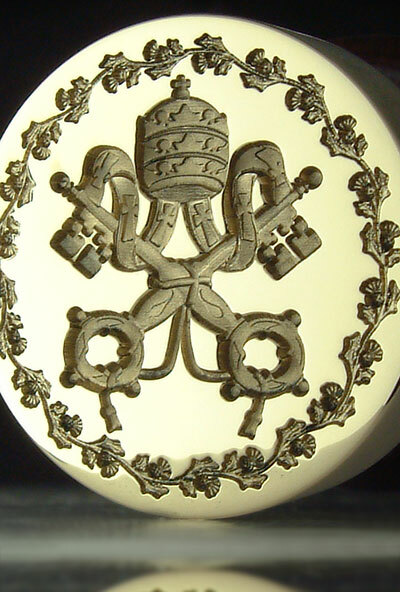 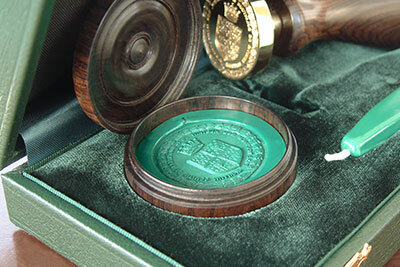 We seal engrave any design on to a desk seal. 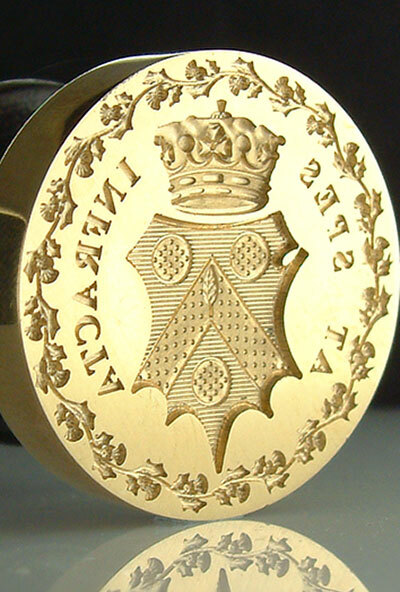 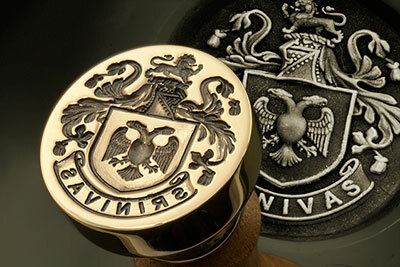 Our standard seal is shown below, with a solid brass 25mm diameter head, complemented with a polished rosewood or oak handle. 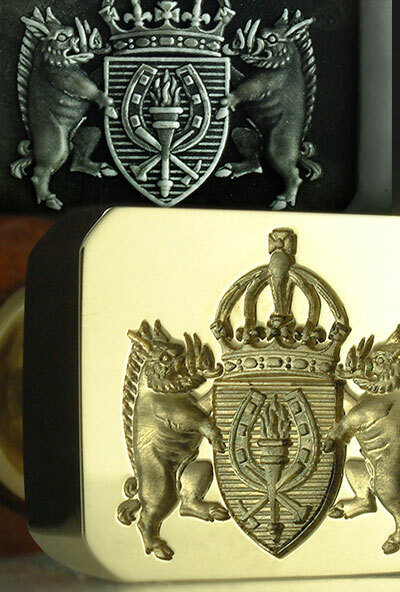 Different shapes and sizes of head are available by special request, normally an additional £50 - Please complete the order form and we will confirm the cost with you before proceeding. 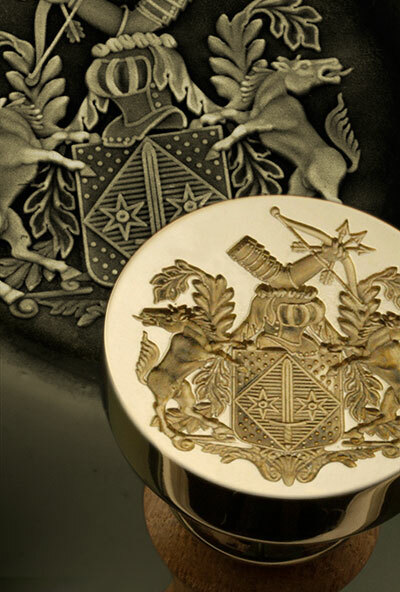 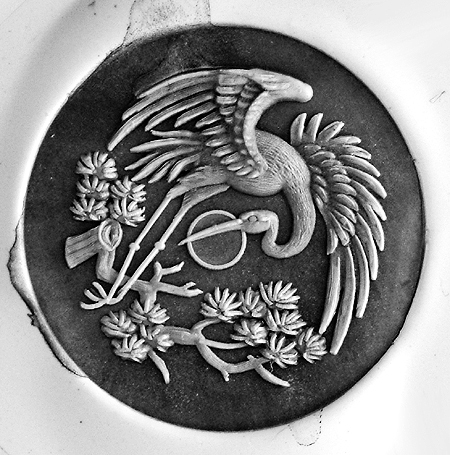 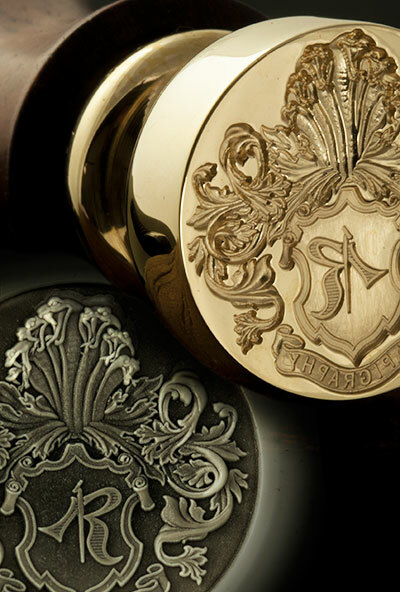 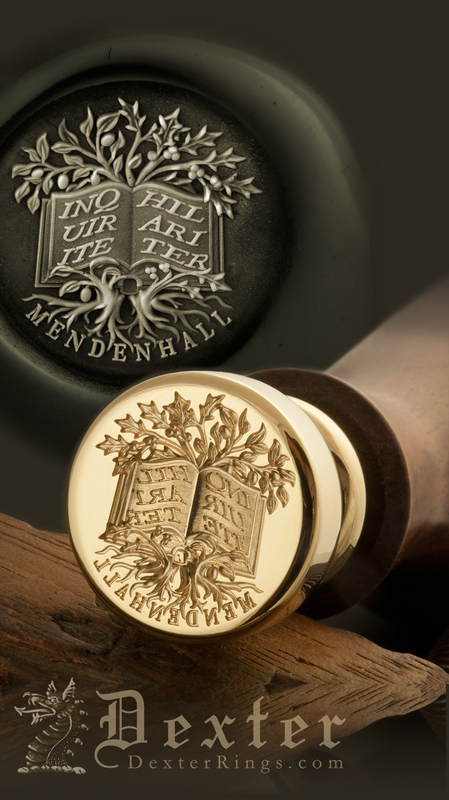 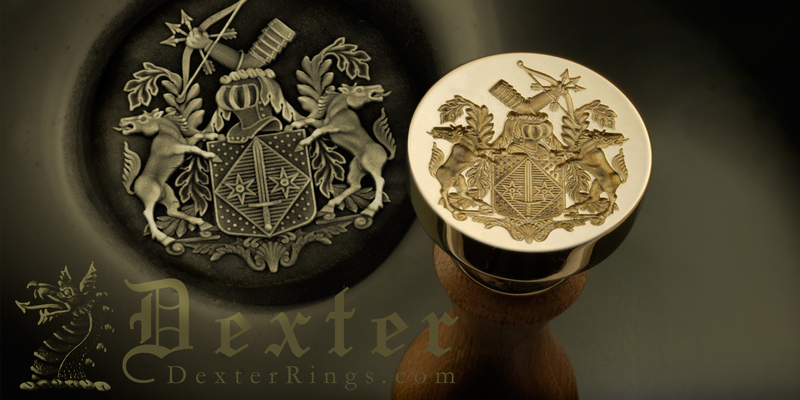 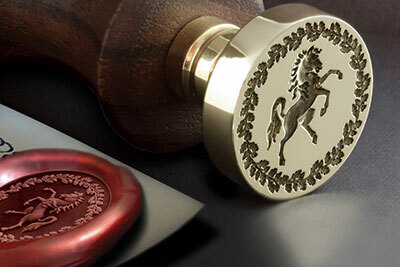 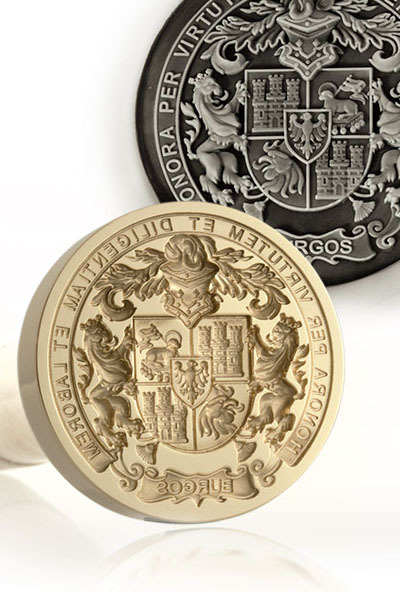 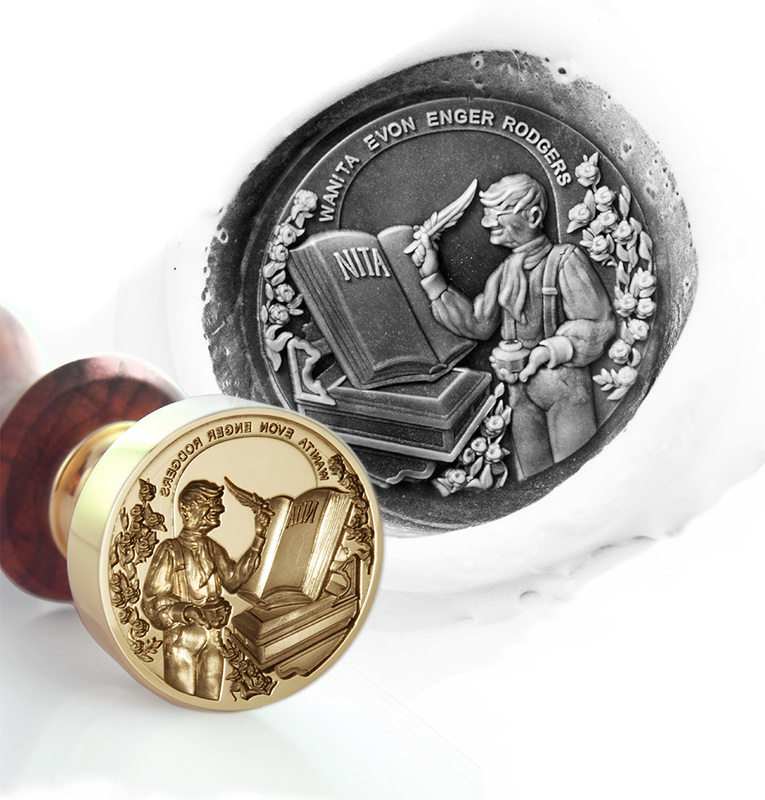 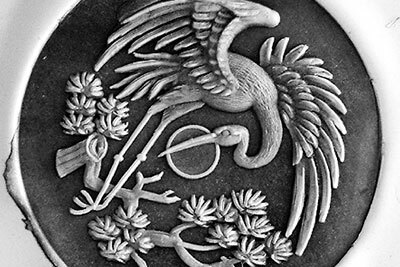 Using ancient skills passed down from one generation to the next, we traditionally seal engrave our desk seals; This means the engraving is deep and three dimensional. 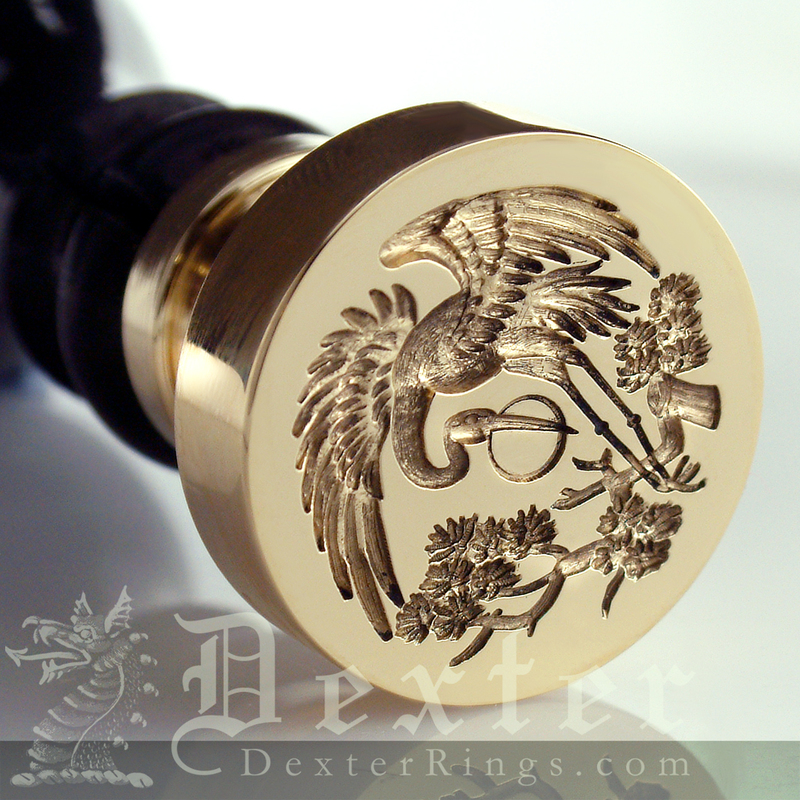 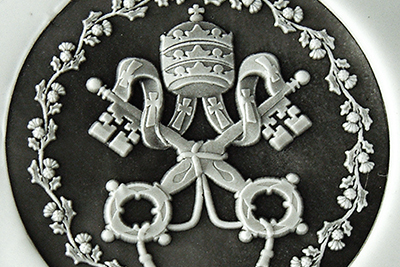 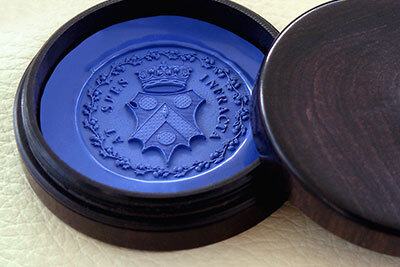 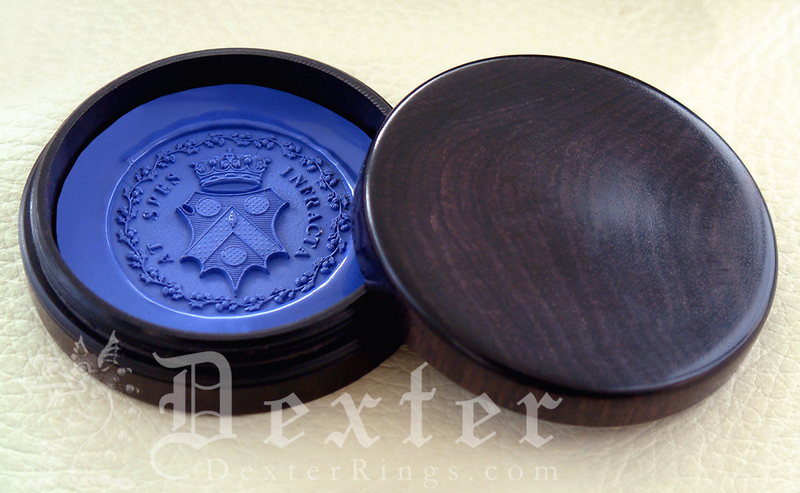 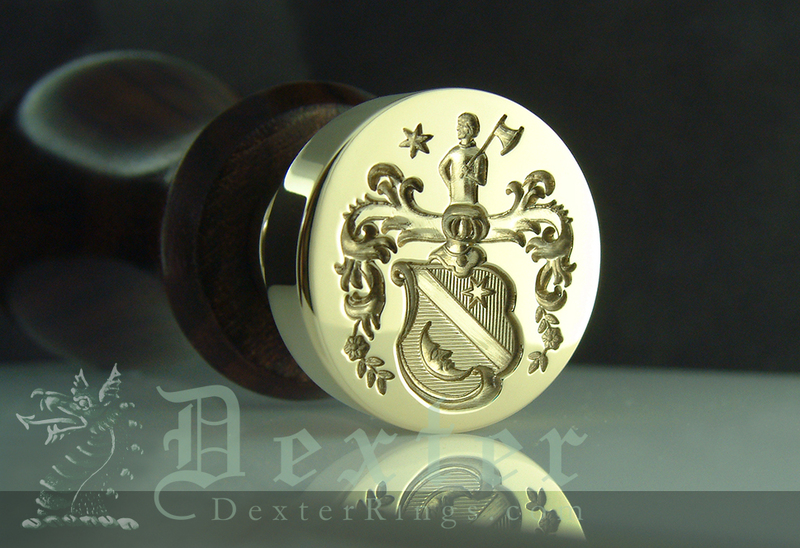 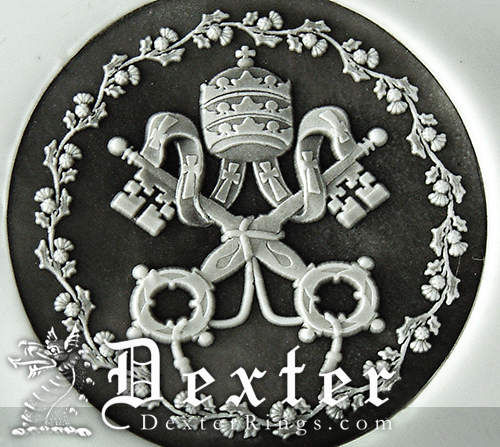 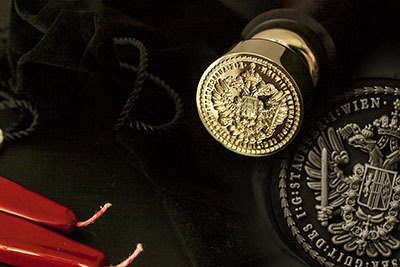 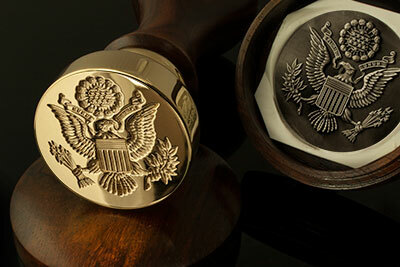 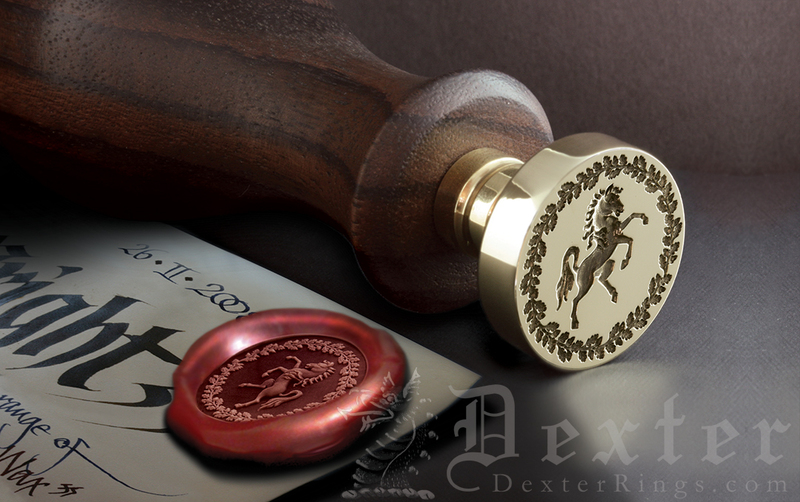 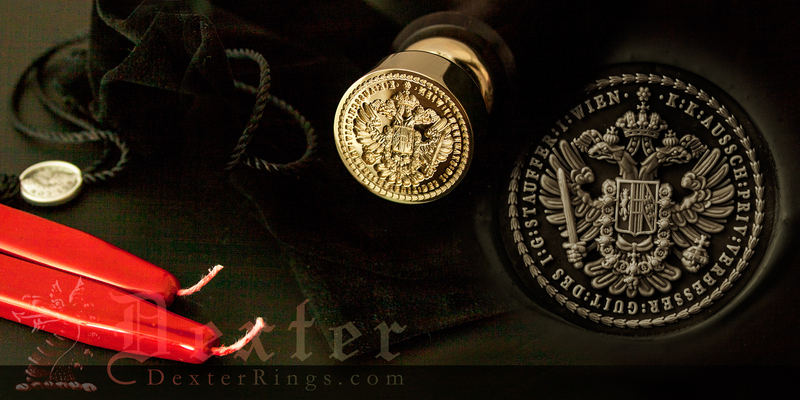 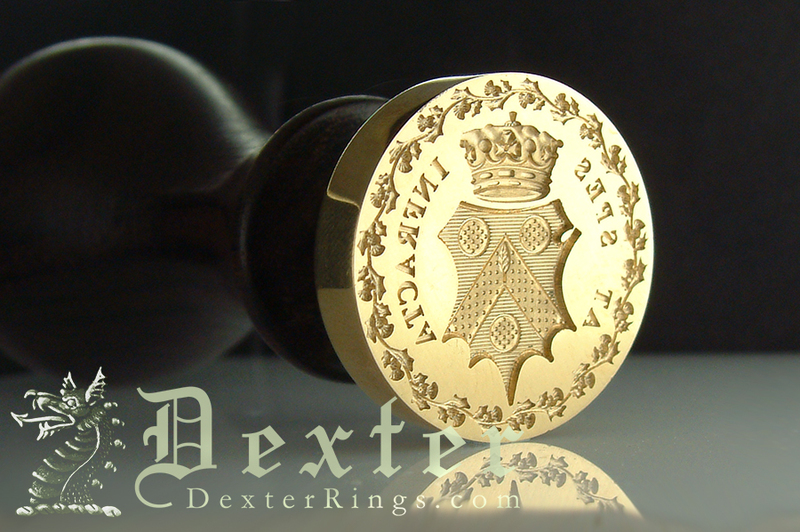 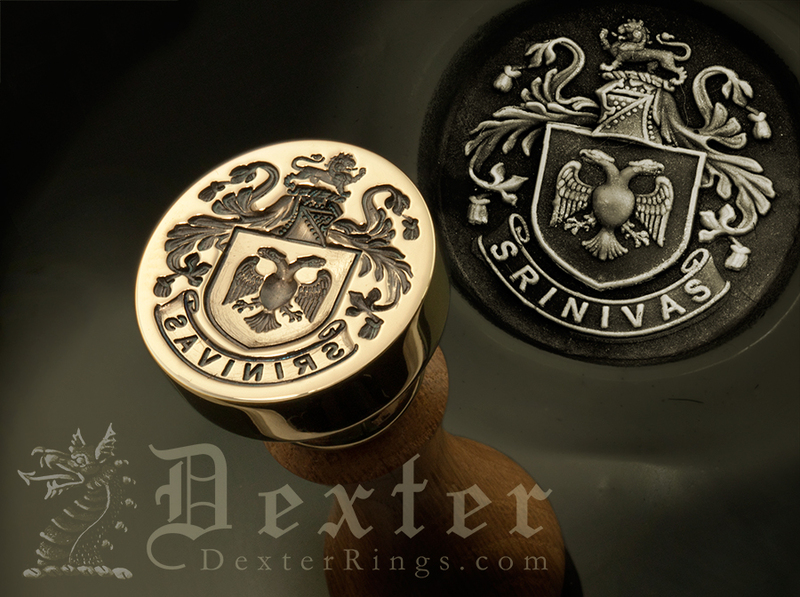 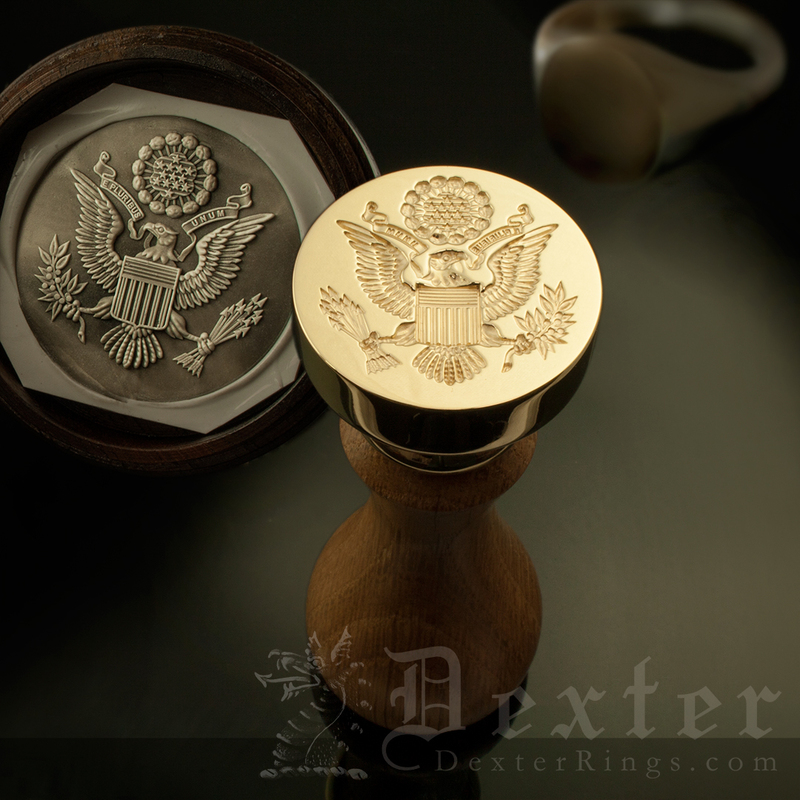 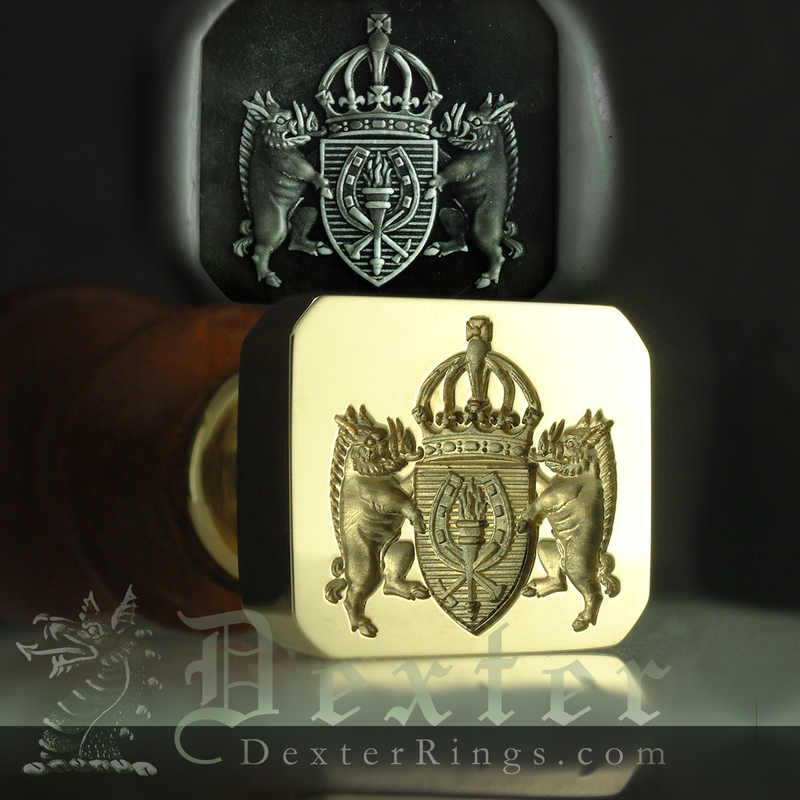 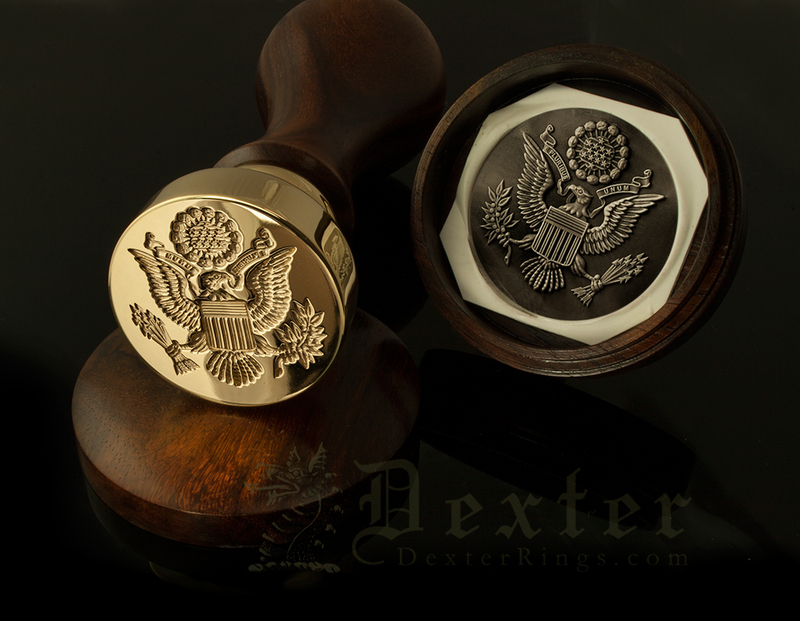 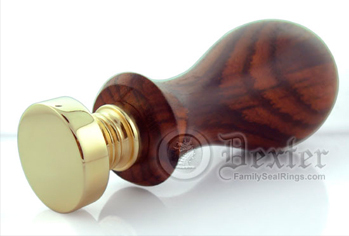 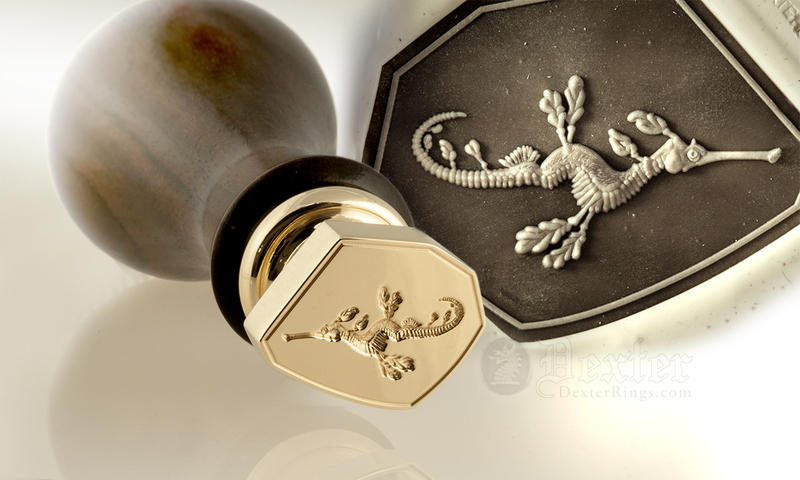 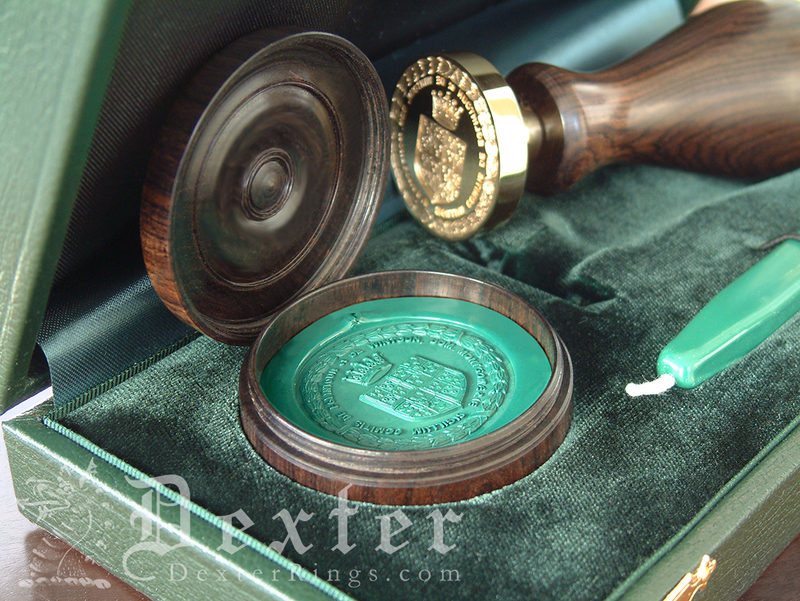 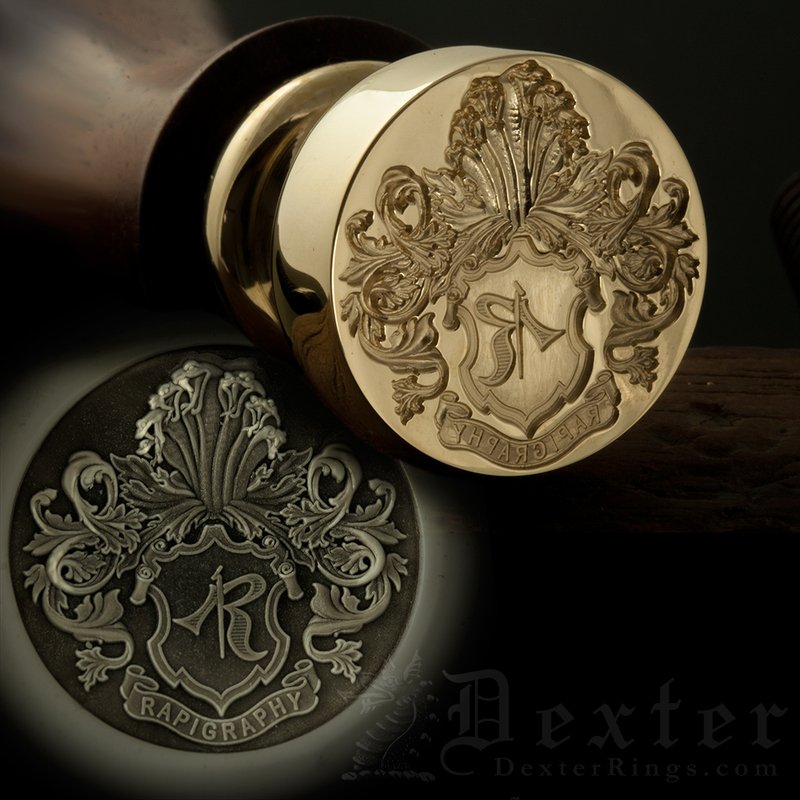 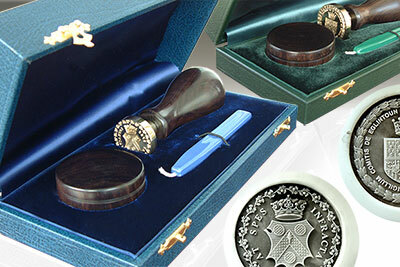 The desk seal is then capable of creating strong and clear wax seals or impressions with ease after a little practice. 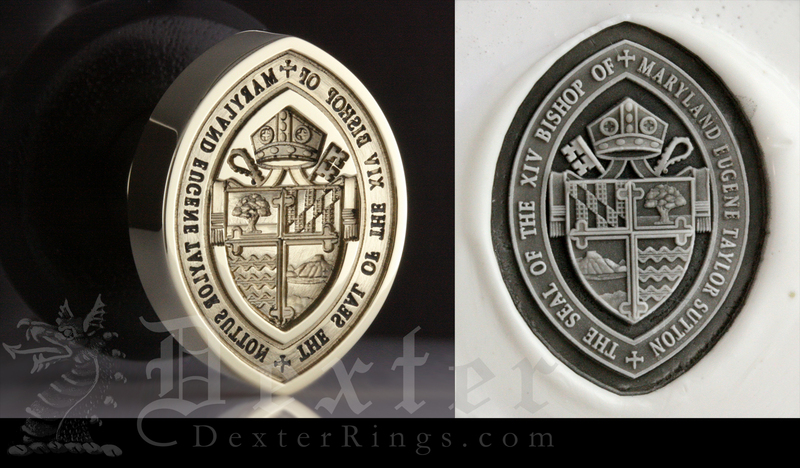 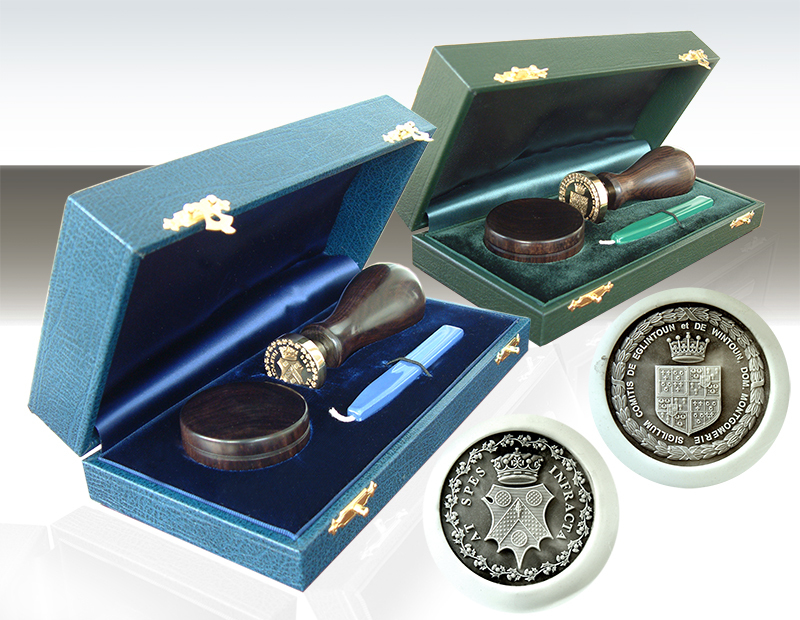 Making excellent gifts, all our desk seals are supplied in an attractive black pouch - complimentary wax sticks and a presentation wax seal of your engraved design are included. 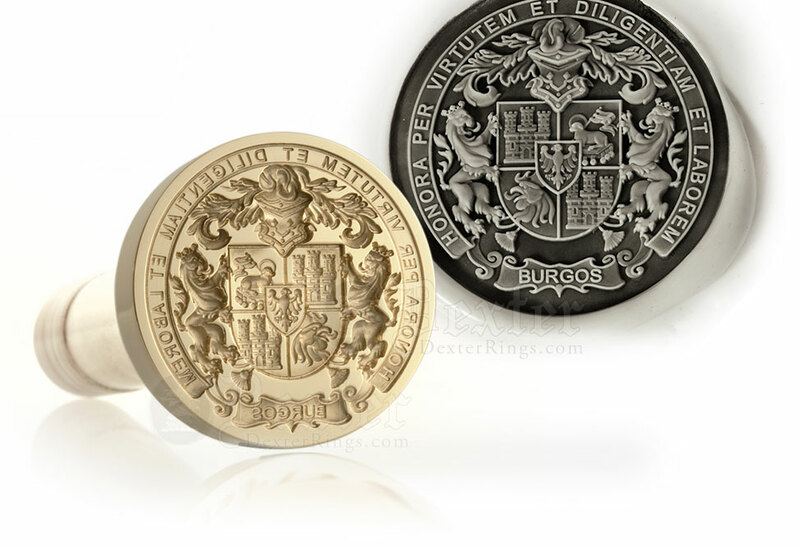 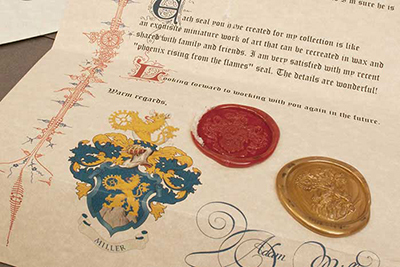 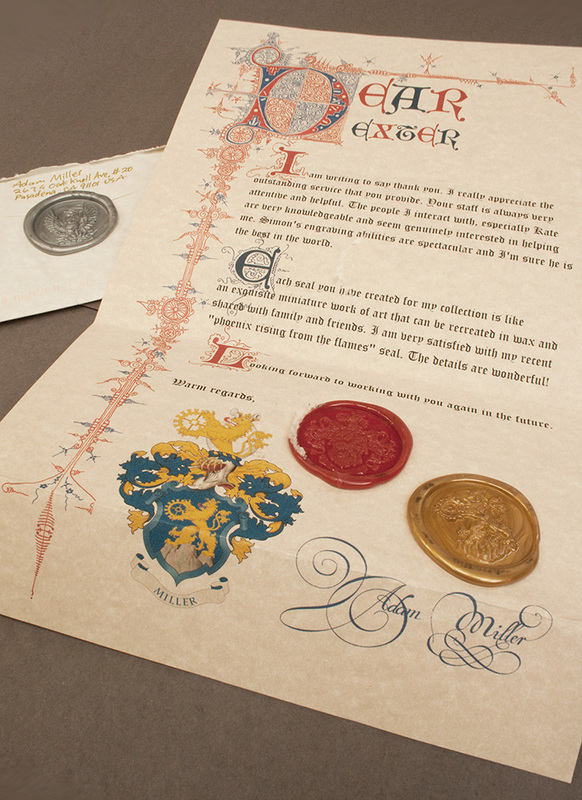 For a custom design that doesn’t fall into one of these categories, for example a bespoke or ornate coat of arms (where a ‘Family Arms Range’ won’t do), please request a quote.